do," Williams said. "I'm not overplaying, I'm not underplaying. I'm just trying to play my way into this tournament." "This is where it all started, so it's always magical for me," Williams said while on court. "But 308 sounds pretty good." If Williams wins the tournament, it would bring her total of grand slam singles titles to 23, breaking her tie with Steffi Graf-both of whom have the most major wins by a tennis player, with 22 under their belts. 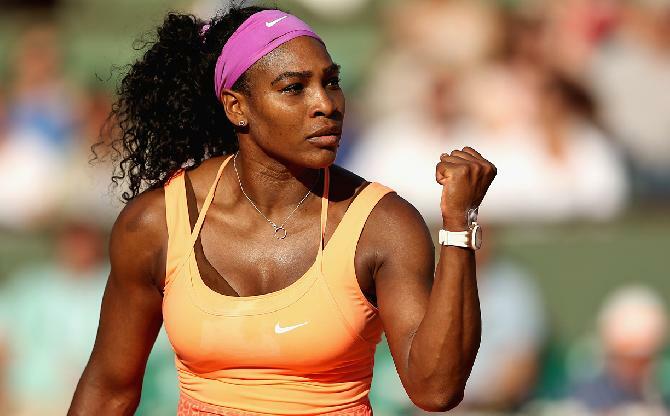 Williams would also break her six-title tie with Chris Evert for most U.S. Open titles won.